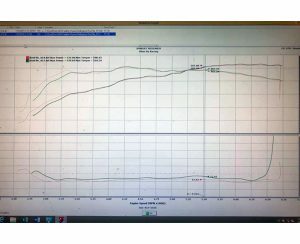 This is our ATS-V with Renick Performance air intake, charged air pipes, downpipes and mid-pipe, plus colder spark plugs, methanol injection and Tapout custom dyno tune @ 20.5 psi of boost. 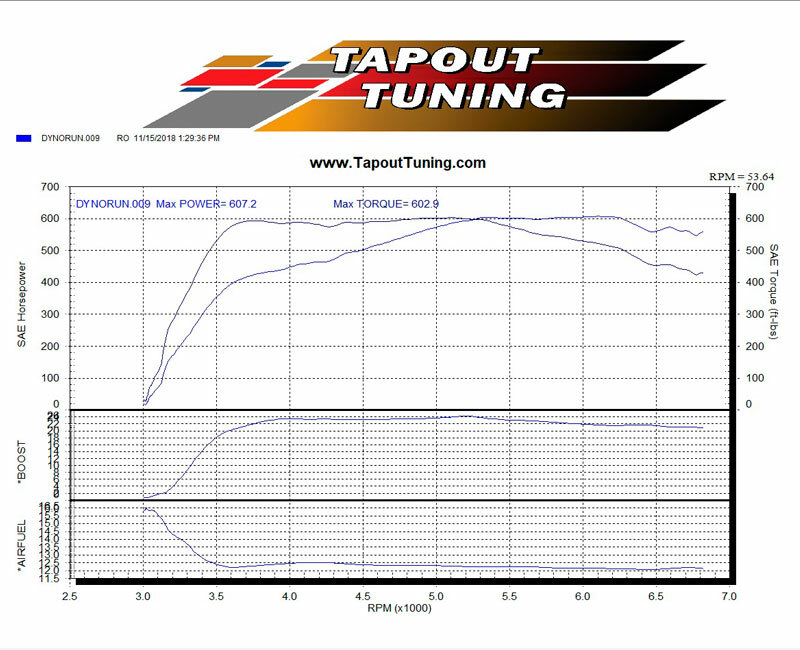 This is our ATS-V with Renick Performance air intake, charged air pipes, downpipes and mid-pipe, plus colder spark plugs, methanol injection and custom Tapout dyno tune @ 23 psi of boost. 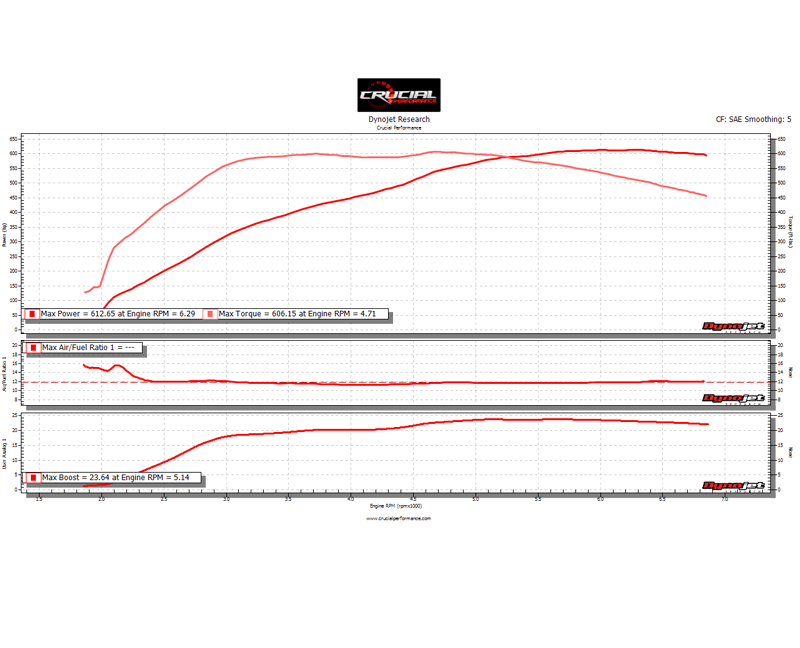 We were really testing the limits of the stock fuel system and turbochargers. 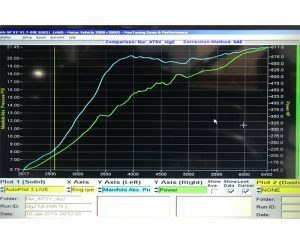 Don’t try this at home. This is our 2018 ATS-V with Renick Performance air intake, charged air pipes, downpipes and mid-pipe, plus colder spark plugs and Tapout custom dyno tune. 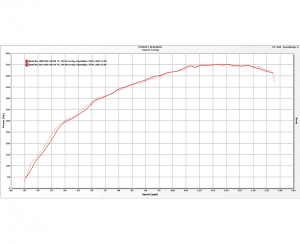 This is our ATS-V, completely stock, only three weeks old. 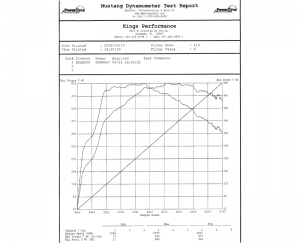 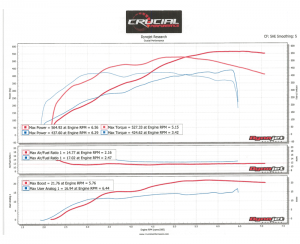 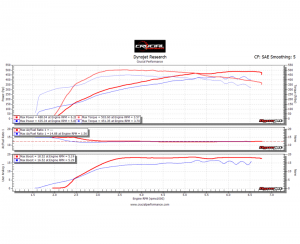 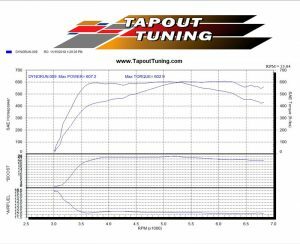 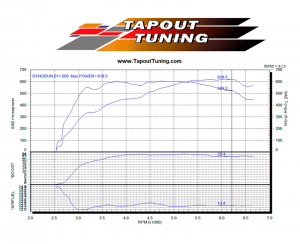 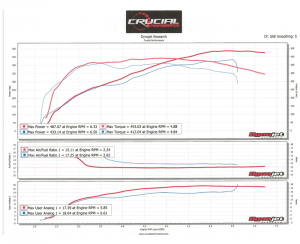 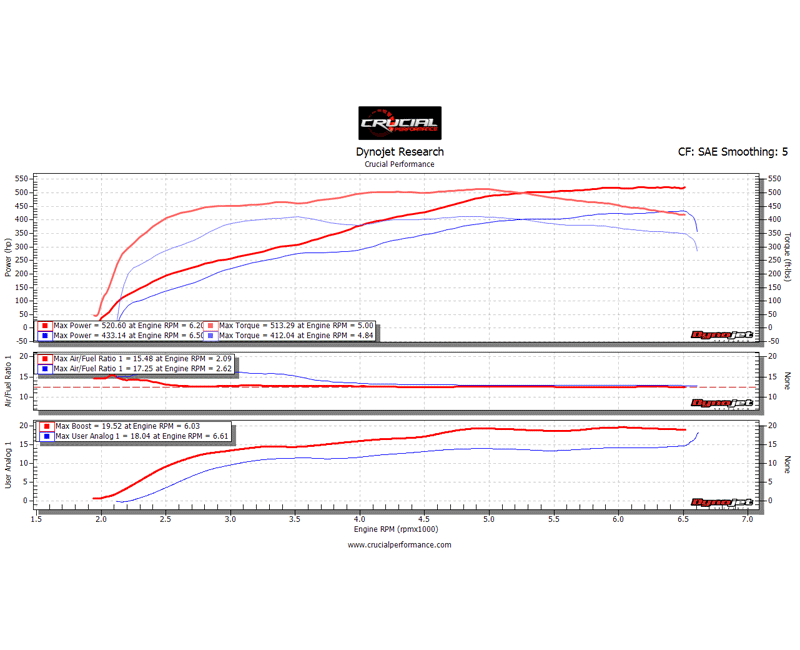 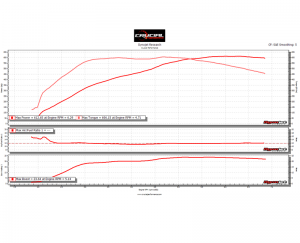 We picked up 54 peak whp with Tapout custom dyno tune at 17 psi of boost and no modifications. 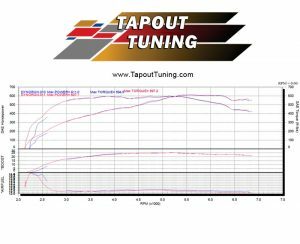 This is a 2016 ATS-V in Florida with a remote Tapout Tune. 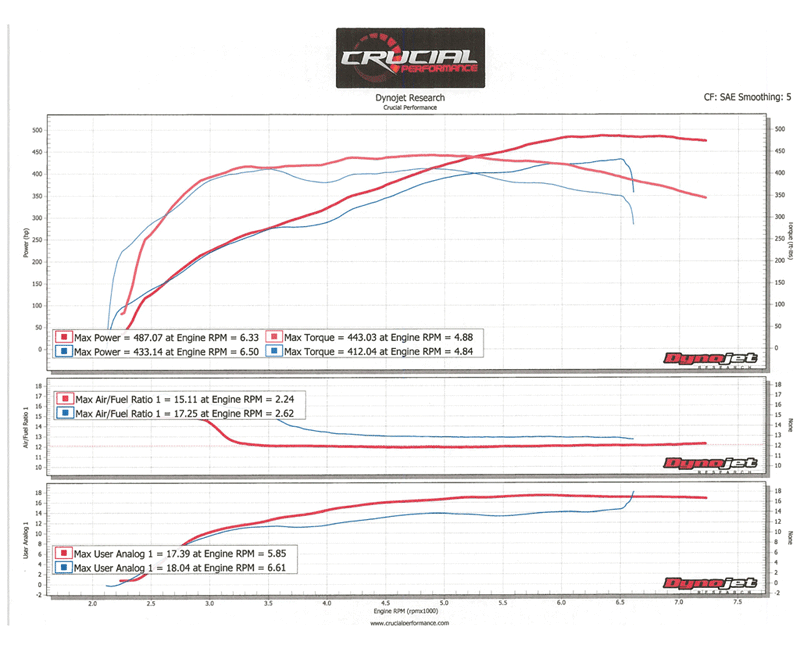 Modifications include fuel cam and downpipes, running on 93 octane fuel. 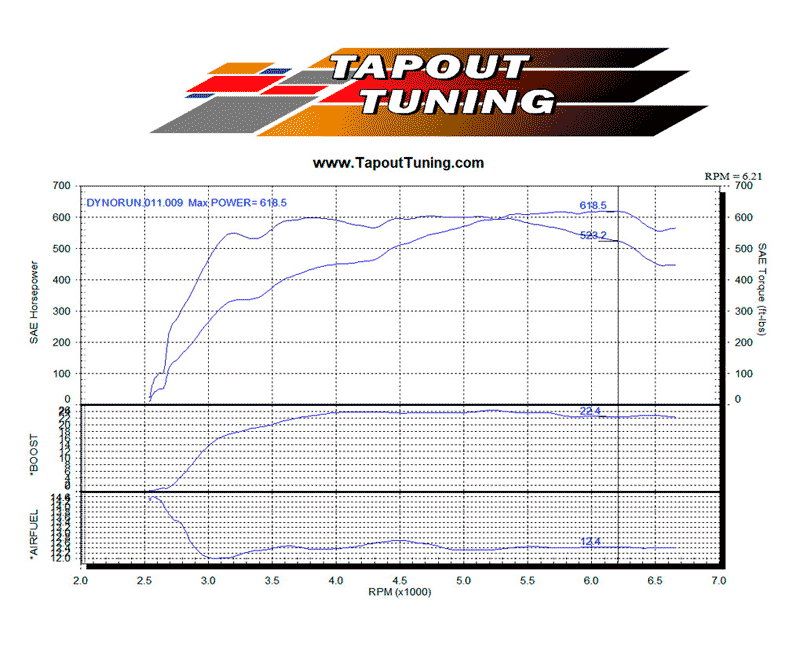 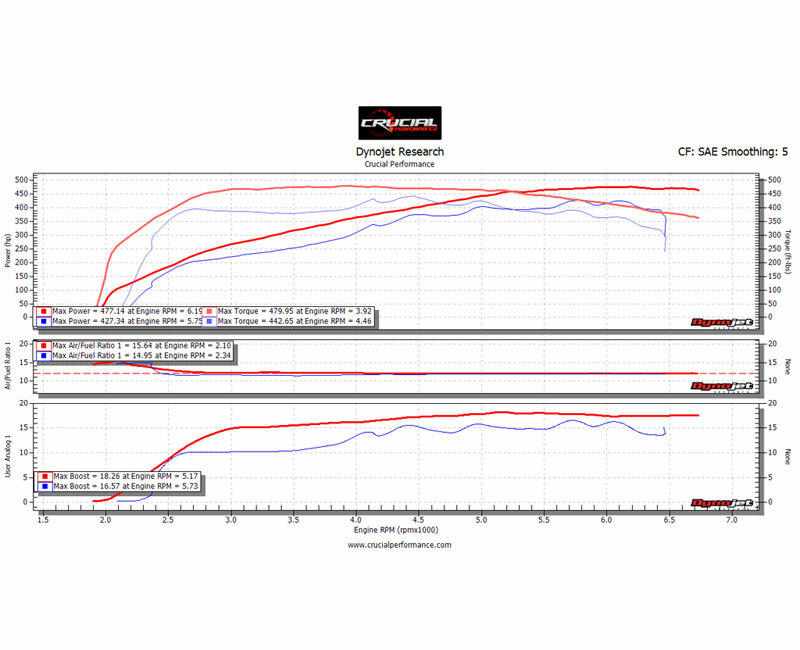 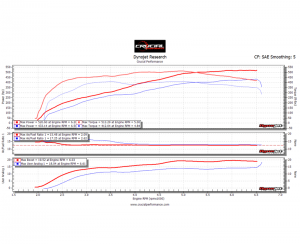 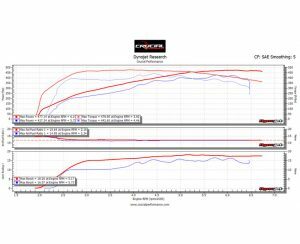 This chart was from a remote tune we performed using a local dyno and wideband.